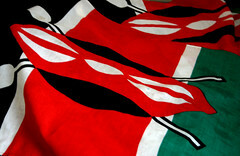 NAIROBI – Kenya is looking to boost revenues and improve the economic situation in the country by closing existing tax loopholes and by updating the VAT system. On June 13th the Secretary of the National Treasury of Kenya Henry Rotich released in Parliament the national budget for the 2013 fiscal year, outlining the government’s plan to raise tax revenues by an extra 7.5 percent compared to the previous year, in order to provide extra funds for new infrastructural projects and development initiatives. The Kenyan Revenue Authority (KRA) expects that some of the extra tax revenues will come as a result of efforts to eliminate tax evasion committed by owners of rental properties, with the KRA setting out to build a cohesive database of all rental properties in the country, and enforcing stricter controls for the declaration of rental incomes. Opposition to the VAT reform has already been voiced in Kenya, and some analysts believe that the move could disproportionately impact low income workers, as it will imposse a 16 percent tax on basic food stuffs and household items, which have previously not fallen under the scope of the tax.